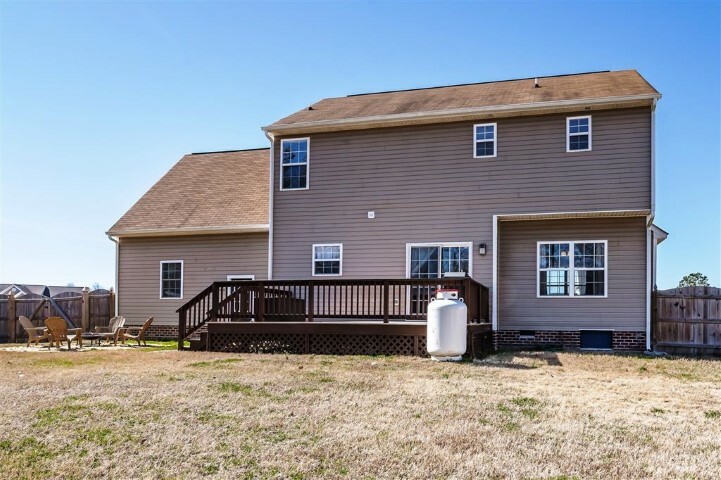 Please contact Mike May at 804.731.0111 for more information on this property! 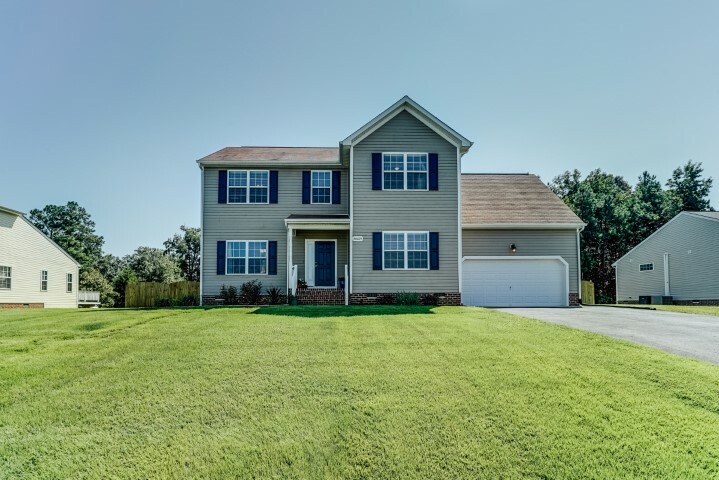 I specialize in Dinwiddie VA real estate, Lake Jordan Phase I Dinwiddie real estate for sale, Dinwiddie, VA homes for sale and Dinwiddie real estate. 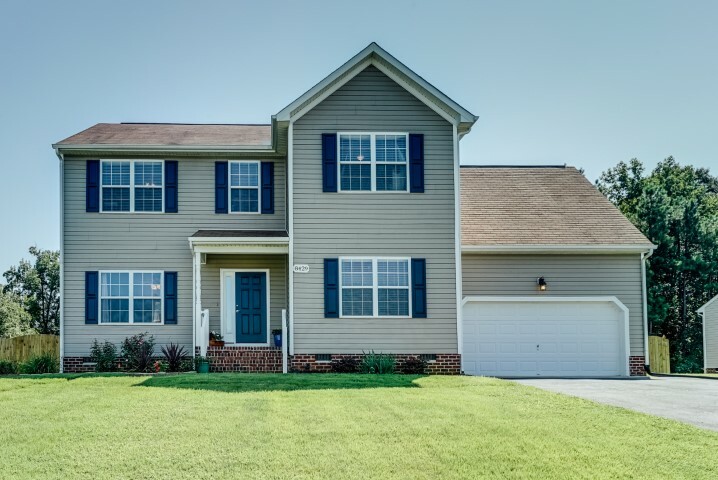 Move-In Ready 4 Bedroom Home in Desirable Lake Jordan! 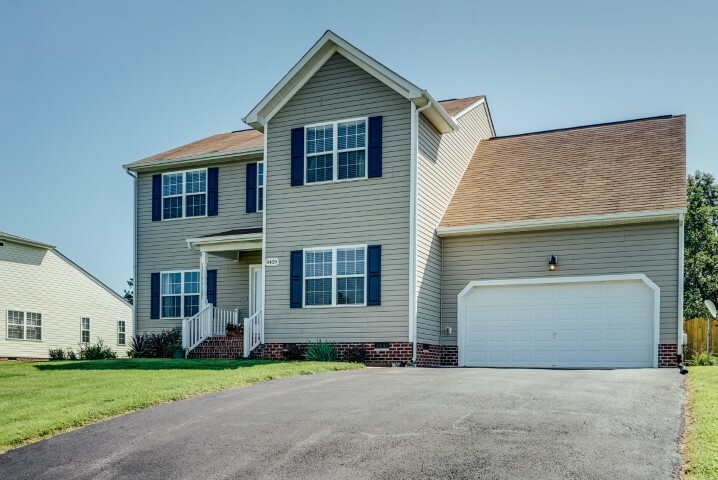 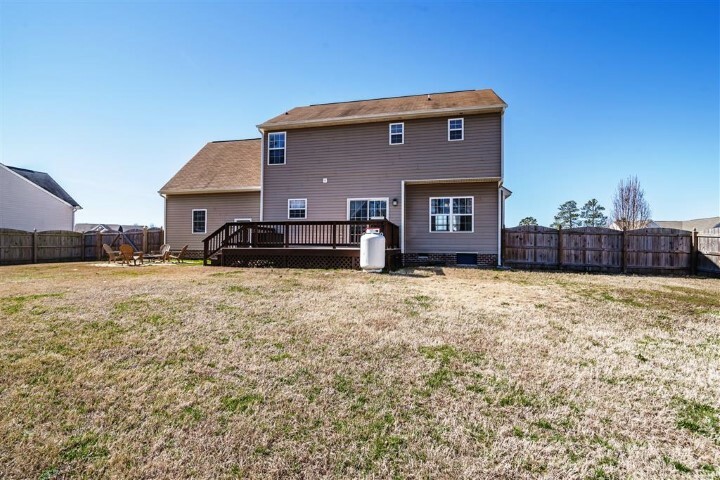 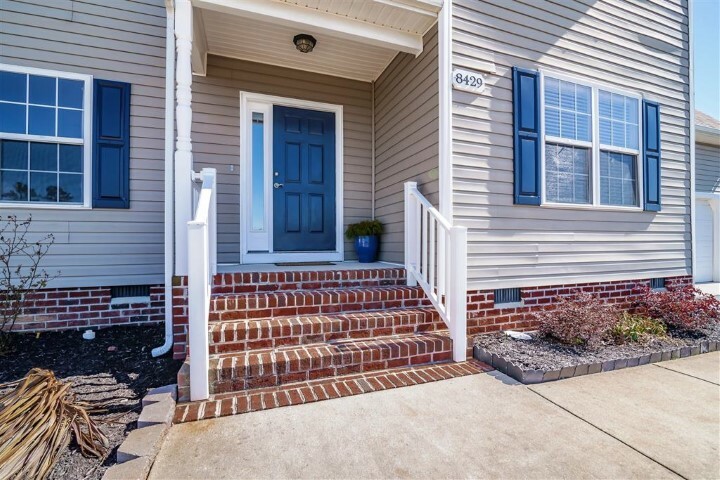 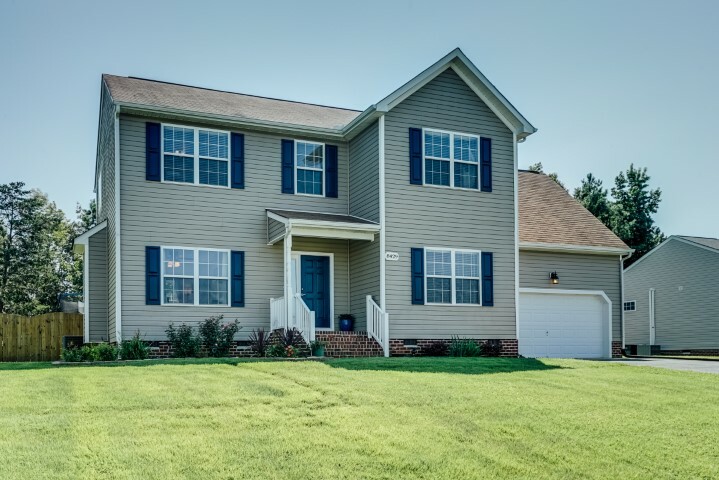 Introducing 8429 Jordan Heights Lane in North Dinwiddie VA! 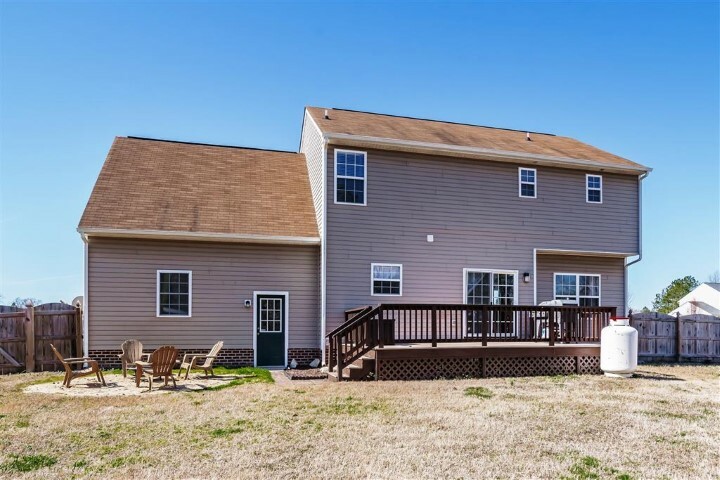 Lovely two-story home located in desirable Lake Jordan that includes a great common area, pool and clubhouse. 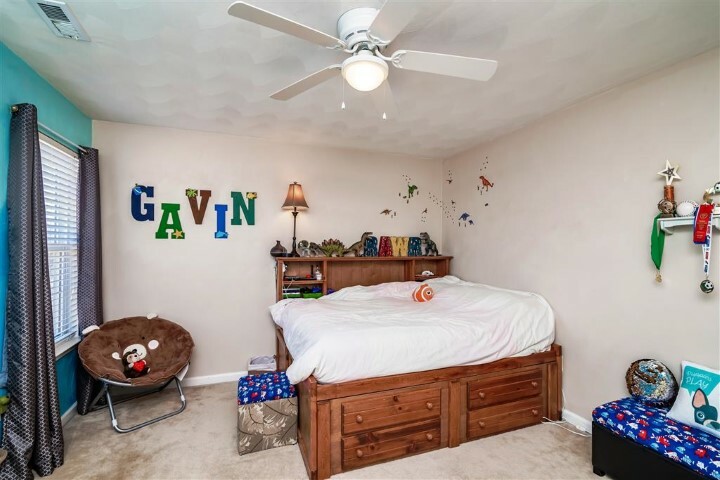 Close to major highways and just minutes from schools, shopping and employment, this fabulous property is just waiting for a new family to call it home! 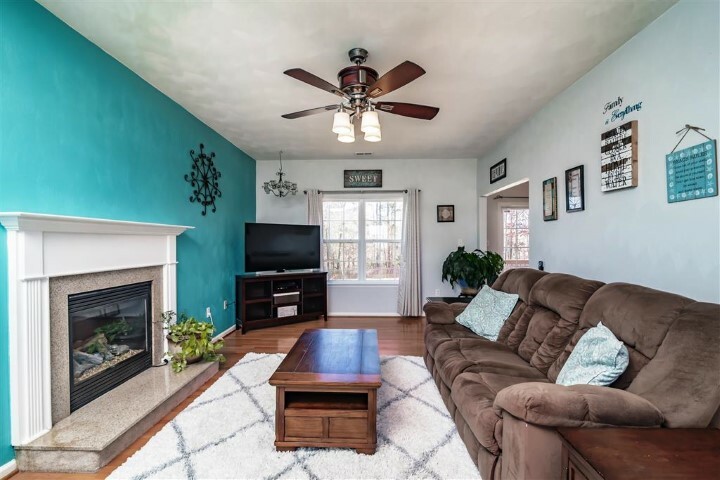 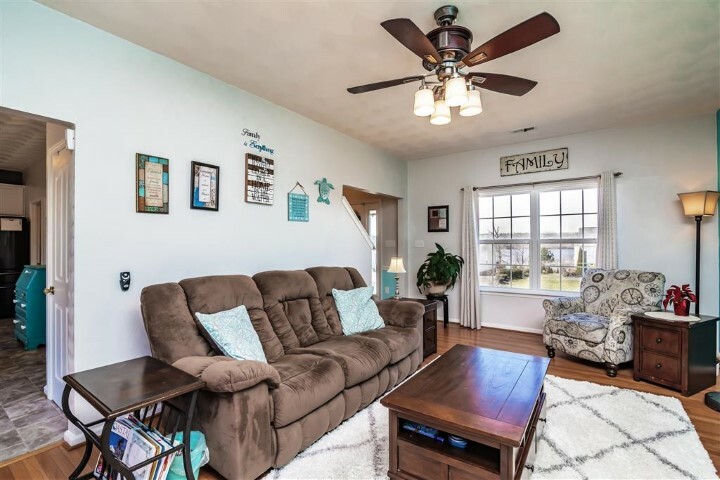 Upon entering the home, you will immediately appreciate the light and bright floorplan and if hardwood floors are on your wish list then look no further… you will find them in the foyer, living and dining rooms. 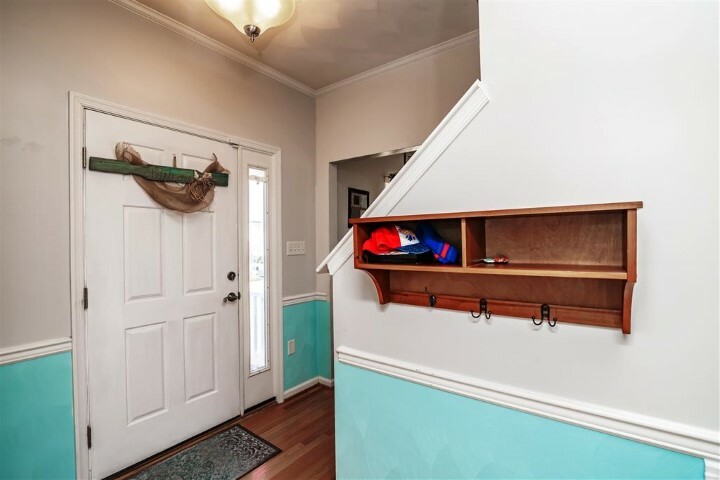 The charming foyer features chair rail moldings, a coat closet and powder room. 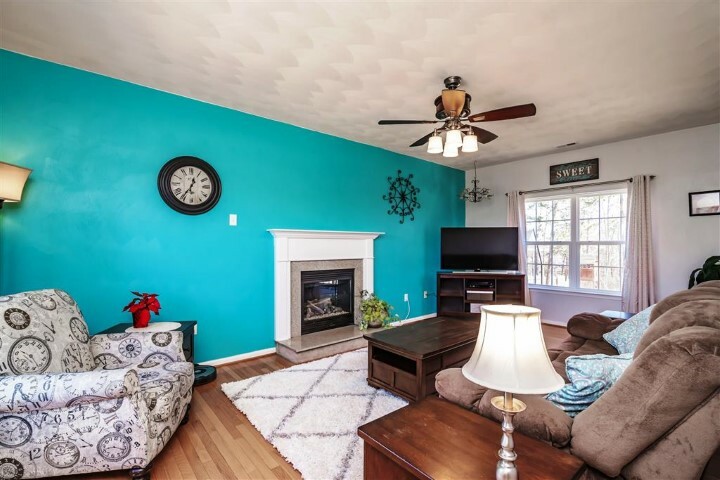 Enjoy cozy evenings by the gas log fireplace in the spacious living room which opens to a fantastic eat-in kitchen that is sure to be the heart of the home. 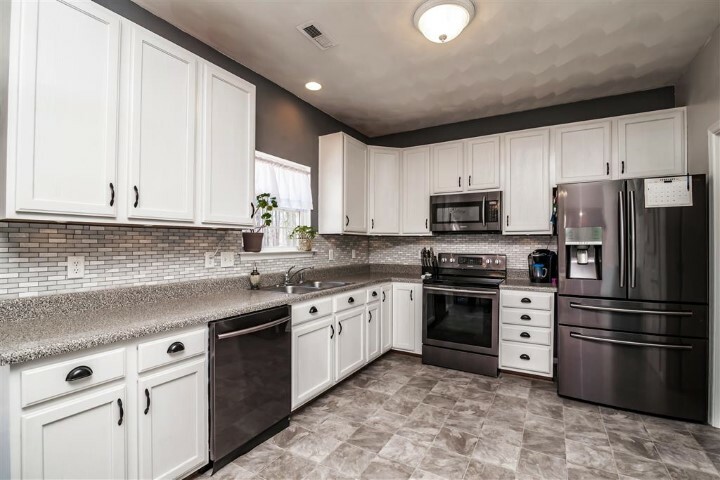 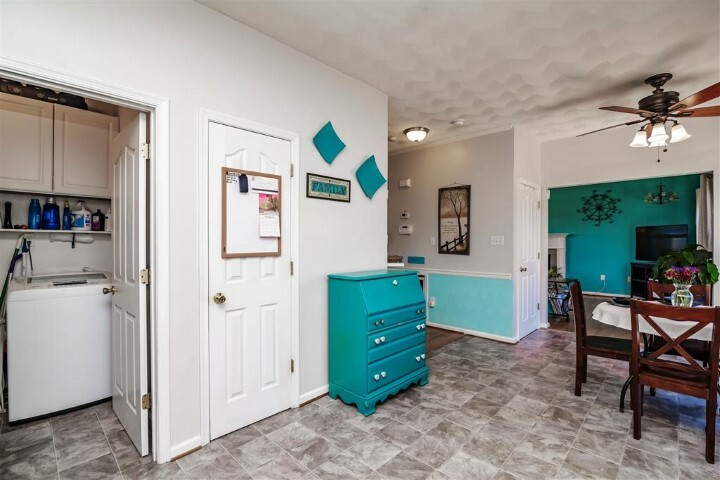 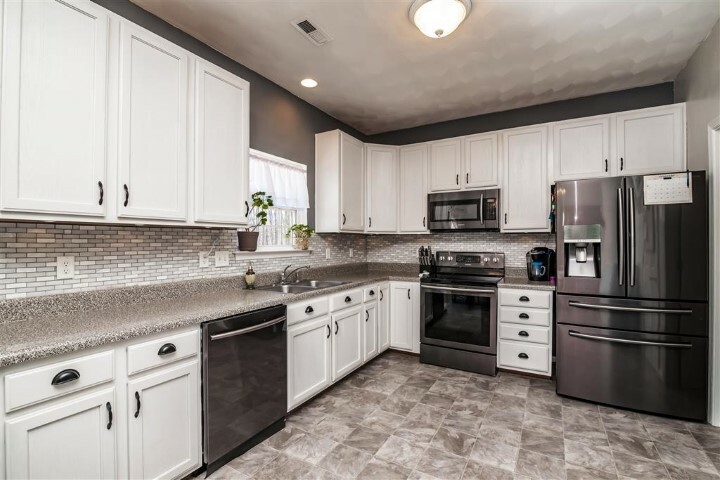 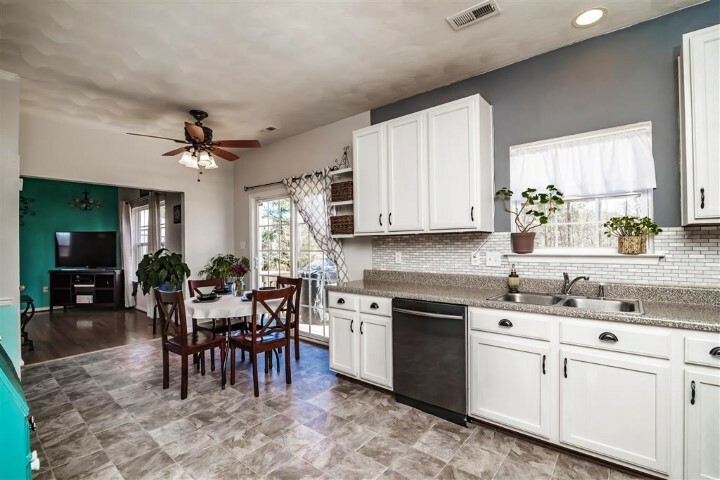 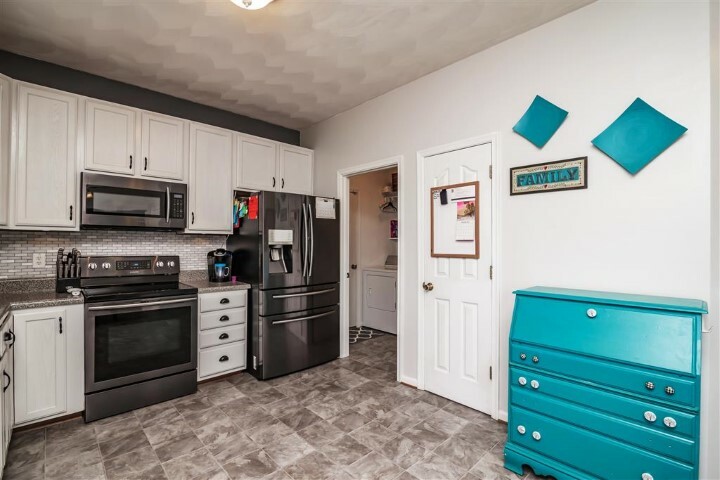 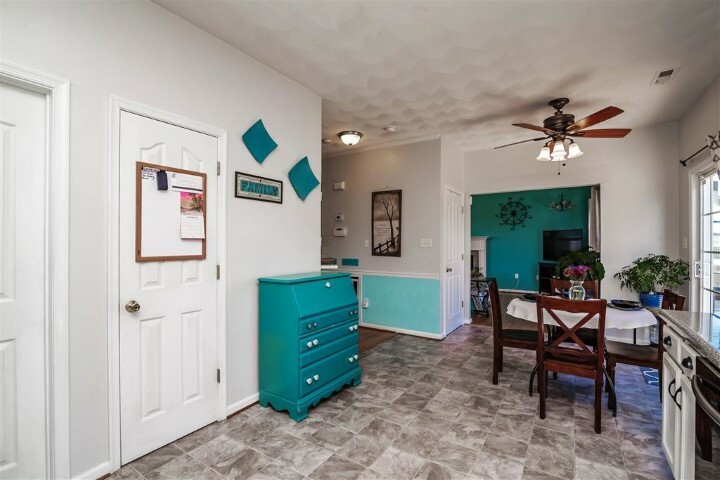 From the delightful, easy to care for new vinyl flooring and tile backsplash, to the pretty white cabinets, to the newer black stainless-steel appliances, this recently updated kitchen just exudes happiness! 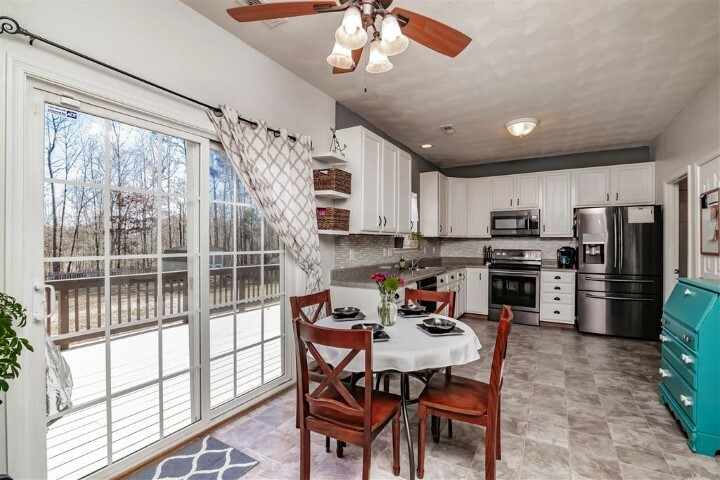 The eat-in area is flooded with natural light coming through the glass doors overlooking the back deck. 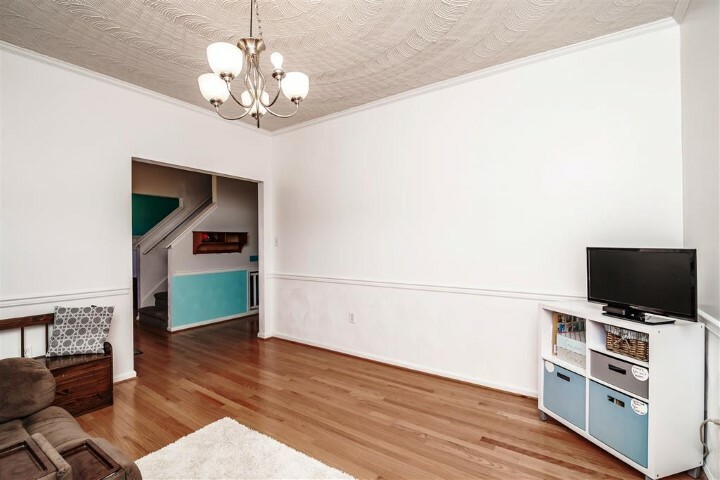 A large dining room is currently being used as a playroom, but with hardwood floors, crown molding and chair railing, it is an ideal setting for formal dinner parties. 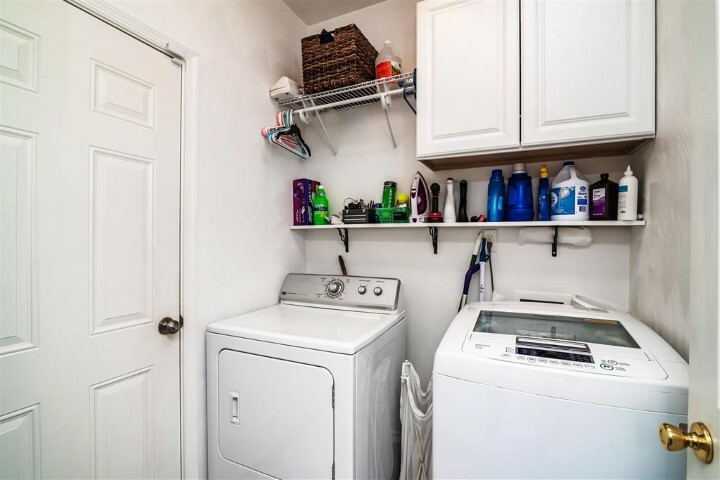 A convenient laundry room completes the main floor of this wonderful home. 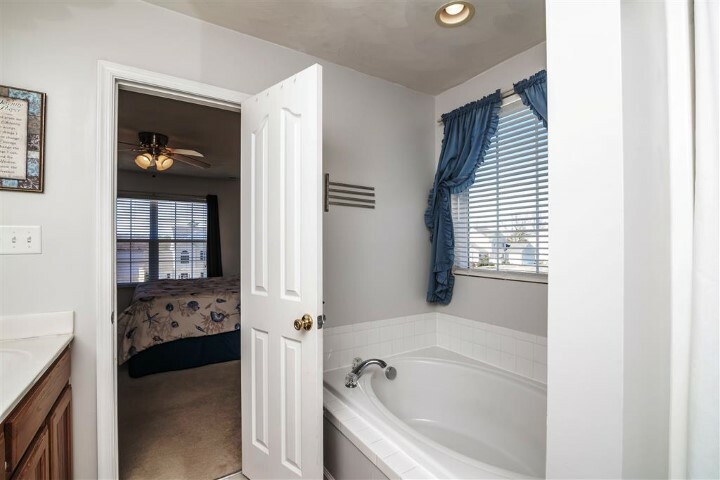 Head up the carpeted stairs and escape to the tranquility of your master suite. 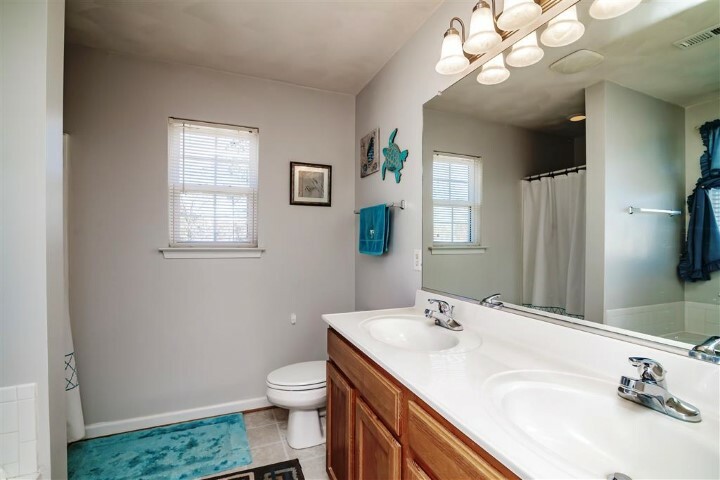 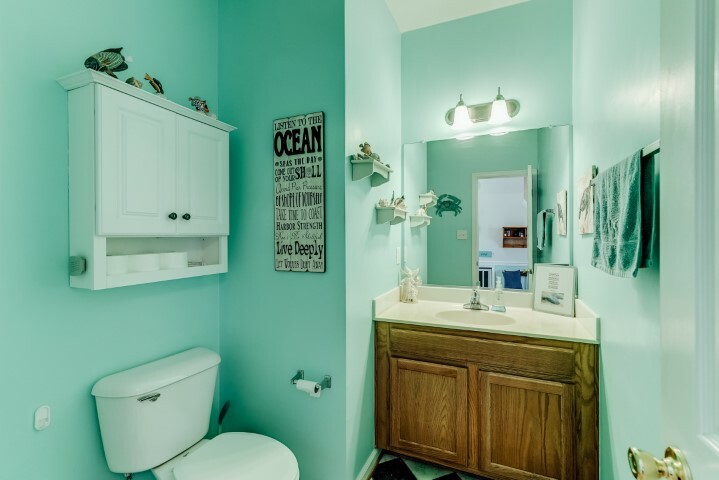 You are sure to love the walk-in closet, vanity with dual sinks, soothing garden tub and separate shower. 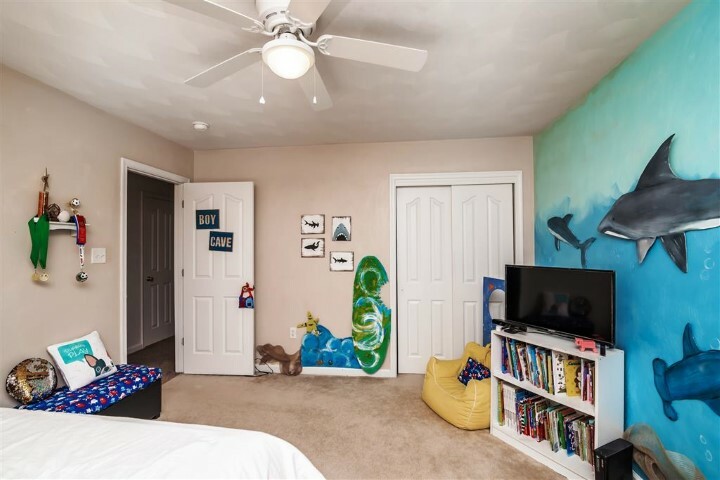 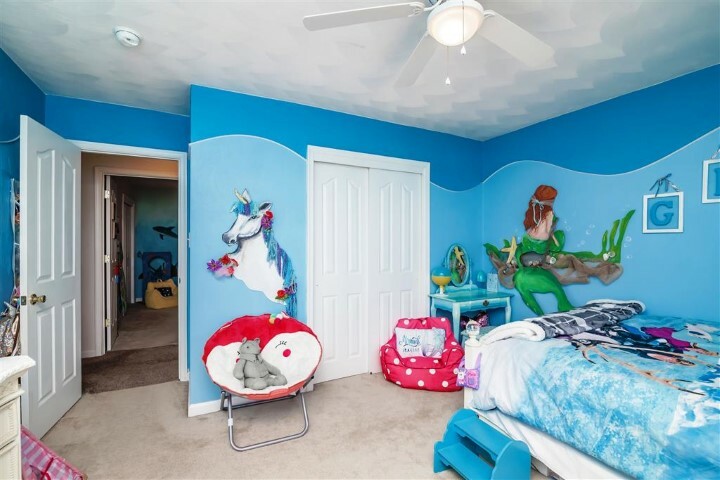 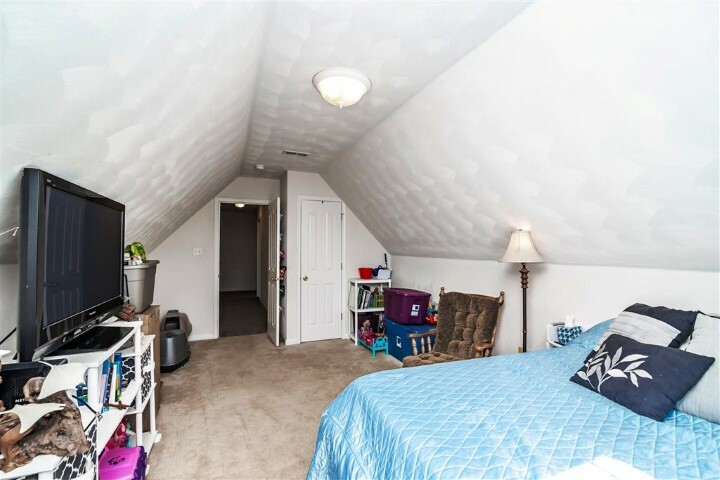 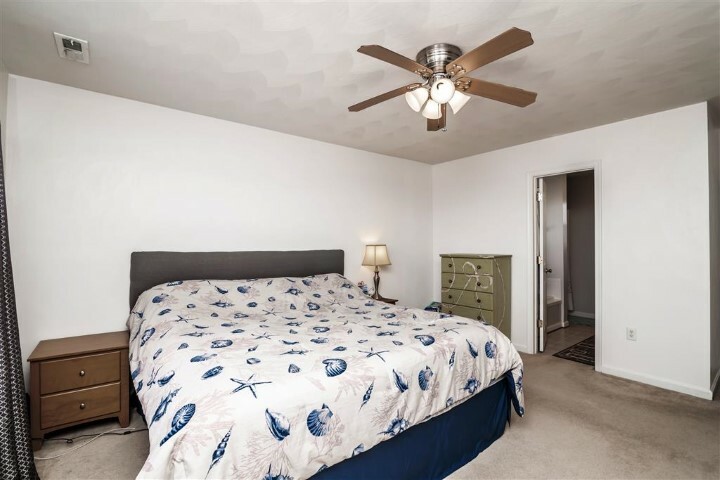 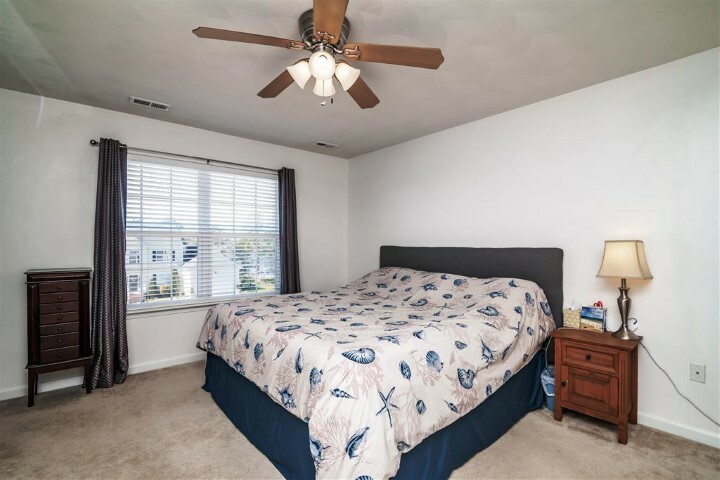 Three additional, generously sized bedrooms feature plush carpeting, ceiling fans and oversized closets, plus a shared family bath. 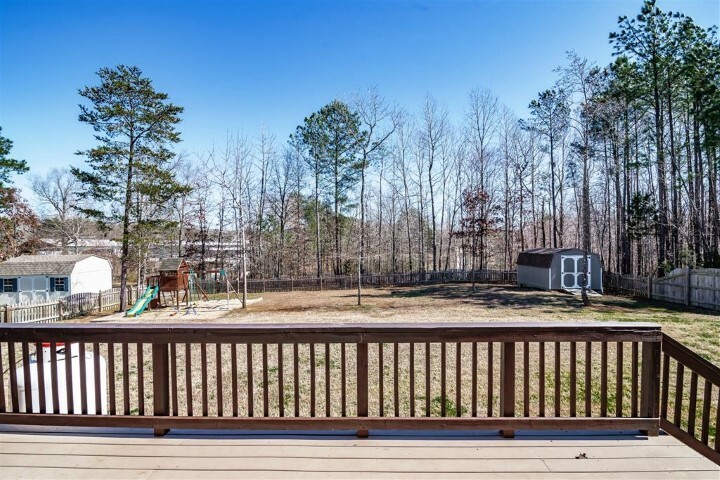 Entertaining outdoors will be a joy on the rear deck overlooking the fenced-in, private back yard. 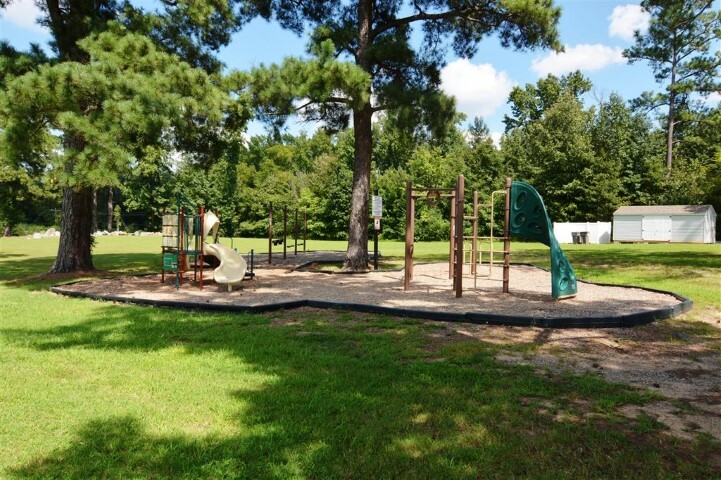 A fun swing set/playground area is waiting for kids to enjoy in a nice, shady area of the yard. 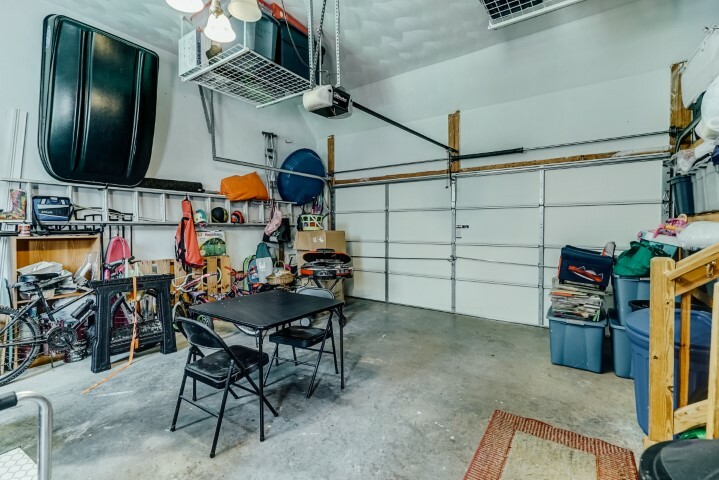 Storage will not be an issue thanks to the shed and 1.5 car attached garage. 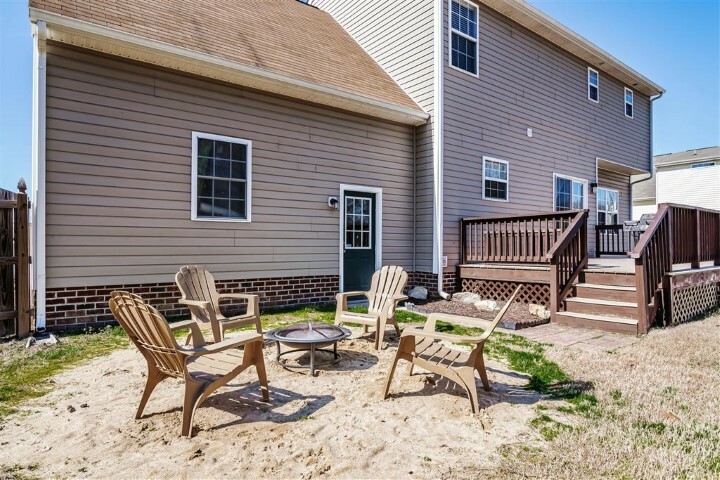 Appreciate plenty of parking in the double wide, paved driveway, plus on street parking. 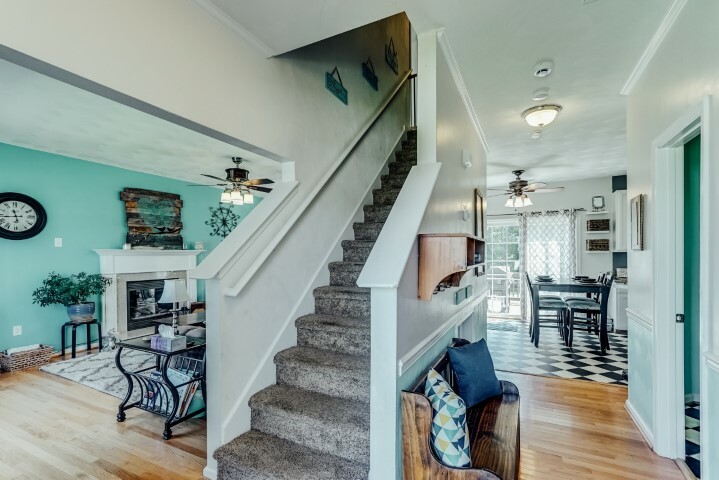 Move in ready – so pack your bags and come on over, we are sure you will want to stay! 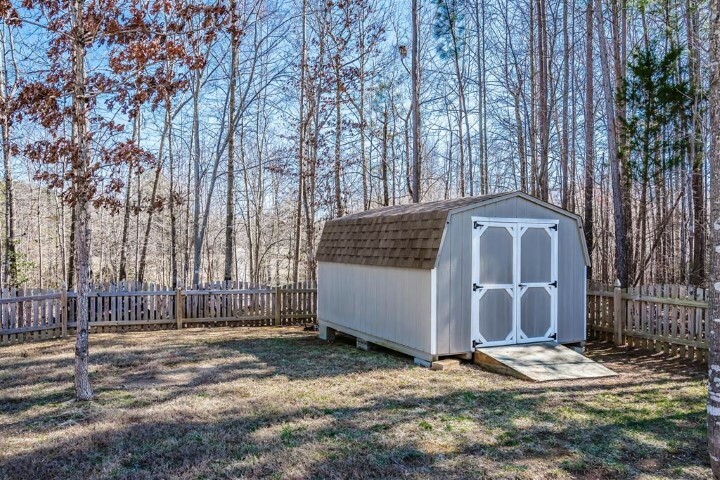 Do You Have A Family That Is Growing And Needs More Room? 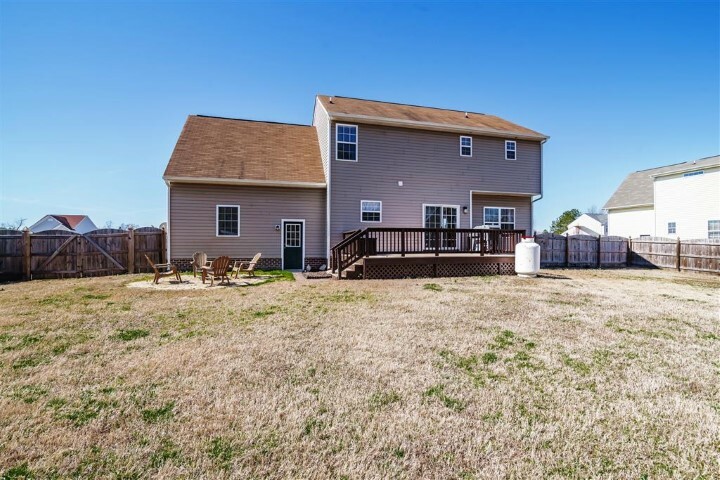 Then This Lovely Two-story Home May Be Your Answer Offering 4 Bedrooms With 2.5 Baths, Attached Garage, And Fenced In Backyard. 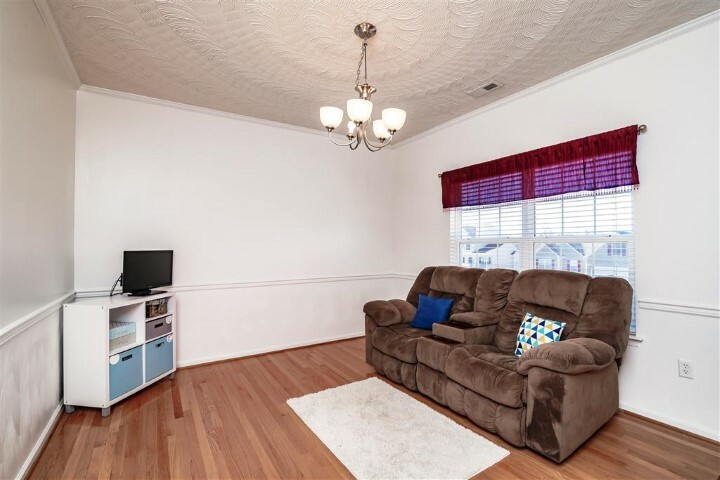 If Hardwood Floors Are On Your Wish List Then Look No Further… You Will Find Them In The Foyer, Living And Dining Rooms. 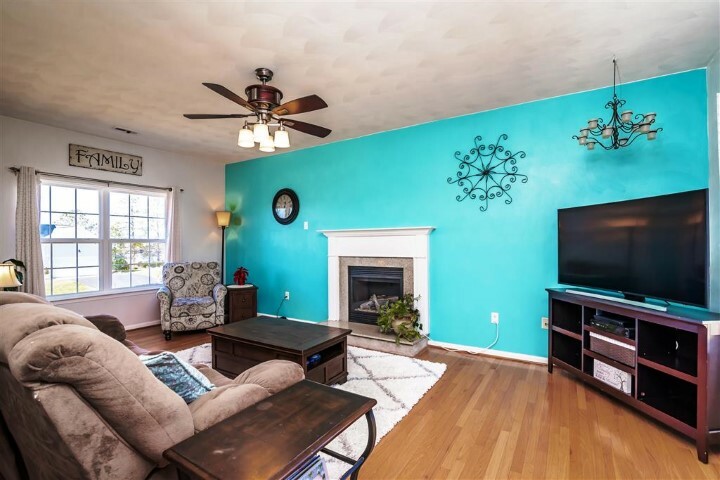 The Spacious Living Room With Gas Log Fireplace Is The Perfect Amenity For Those Cozy Evening With Your Loved Ones. 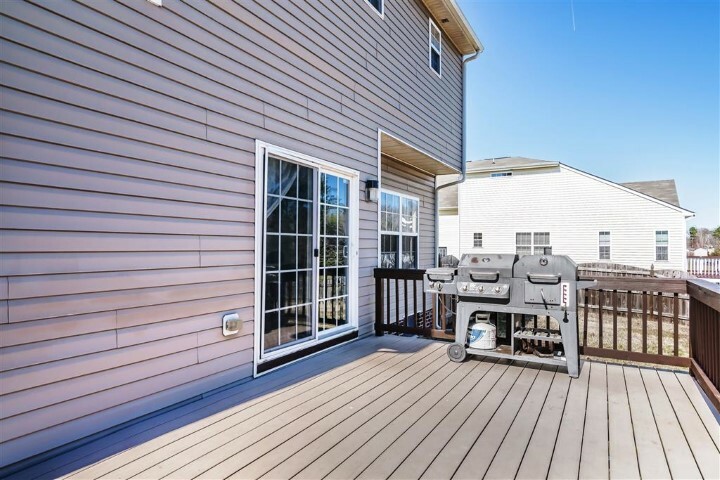 At The Heart Of The Home Is A Large Eat-in Kitchen With New Vinyl Flooring, Tile Backsplash, White Cabinets, Black Stainless Steel Appliances, Pantry Closet, And Sliding Doors To The Deck For Cookouts And Entertaining. 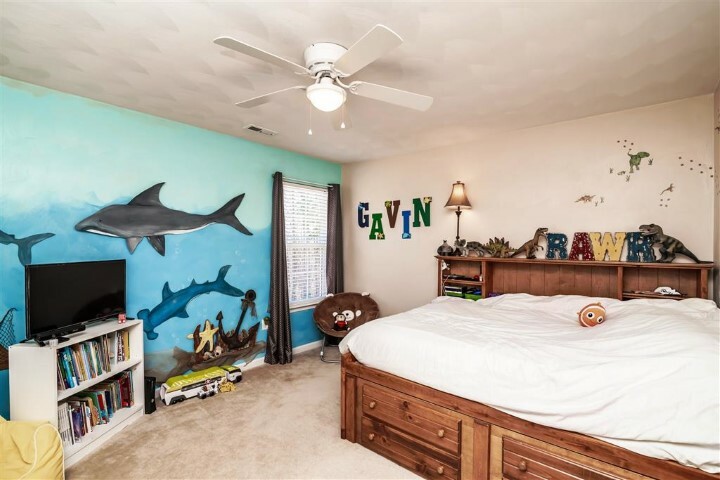 The Formal Dining Room Is Currently Set Up As A Playroom But Could Also Be A Flex Room For An Office Or Music Room. 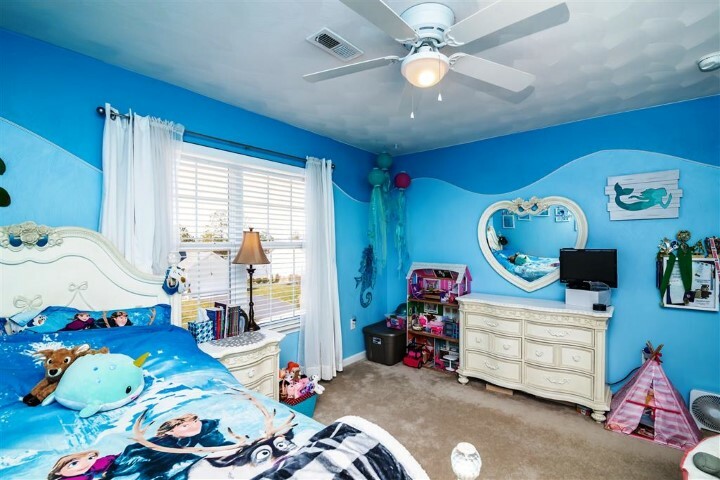 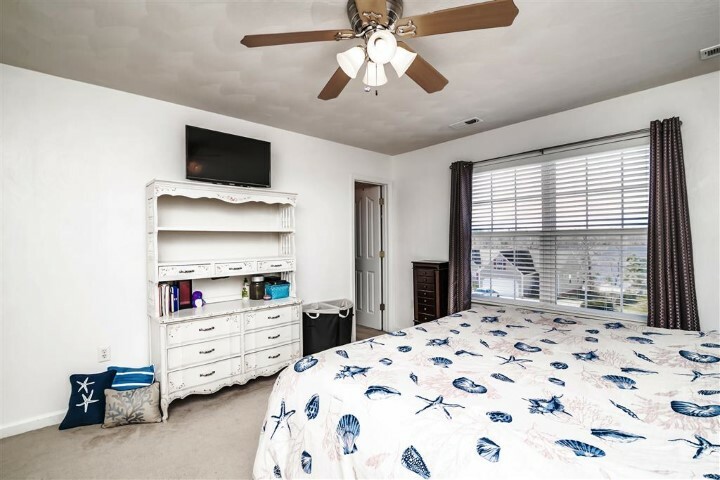 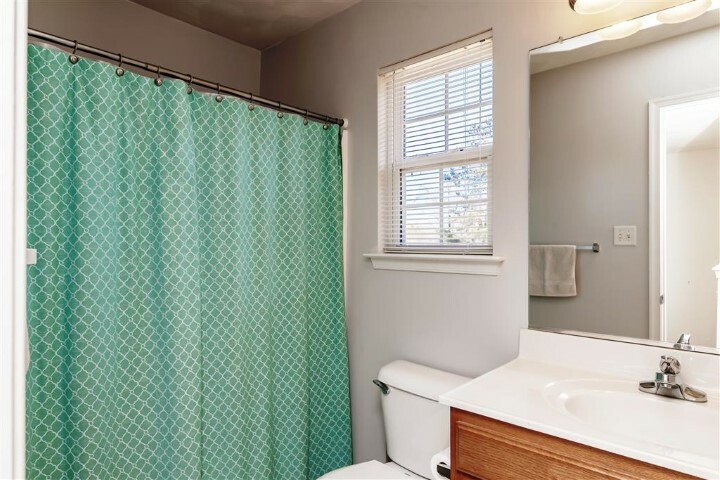 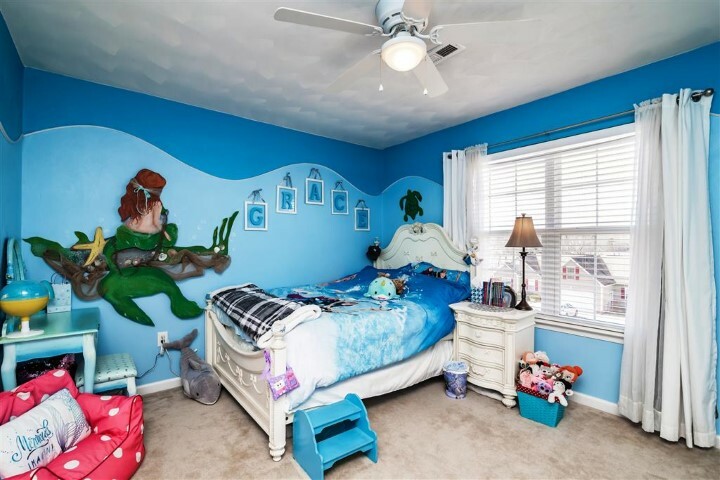 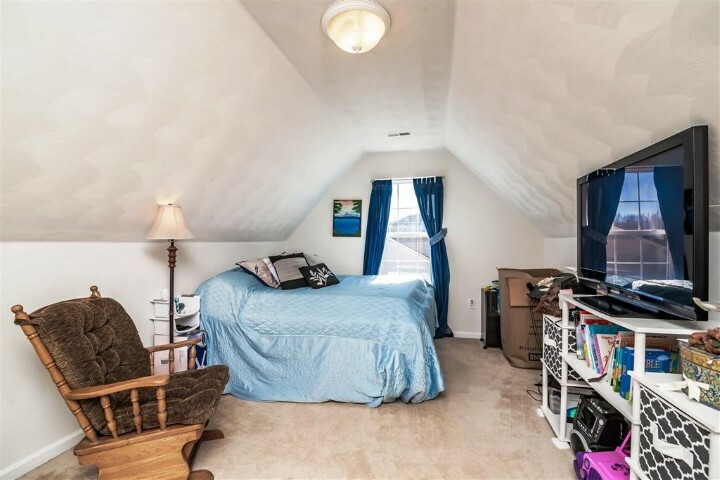 Once Home You Will Want To Escape To The Tranquility Of Your Master Bedroom With Walk-in Closet, Attached Bath With His And Her Sinks, Over-size Garden Tub, And Separate Shower Stall. 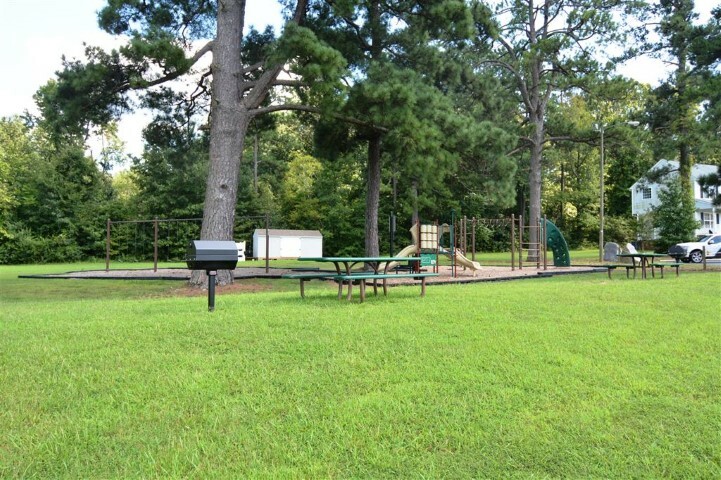 The Fenced In Backyard Offers A Number Of Amenities Starting With The Large Deck With Trex Deck Boards, Swing Set And Playground Area For Your Kids. 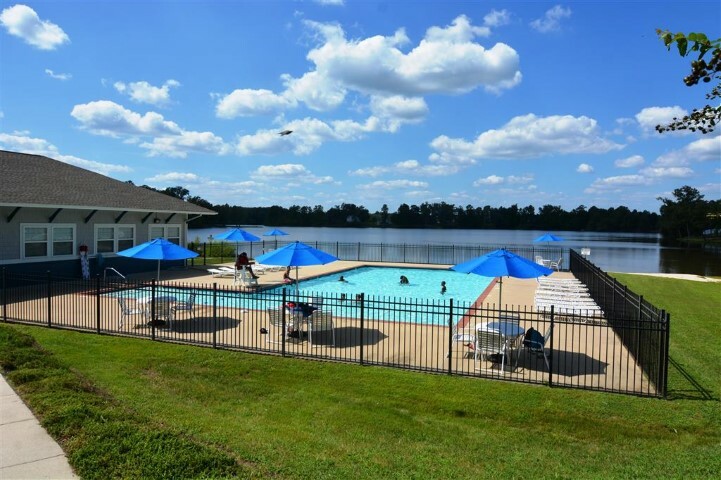 The Lake Jordan Subdivision Offers A Community Pool With Clubhouse, Beach Area, And Playground.